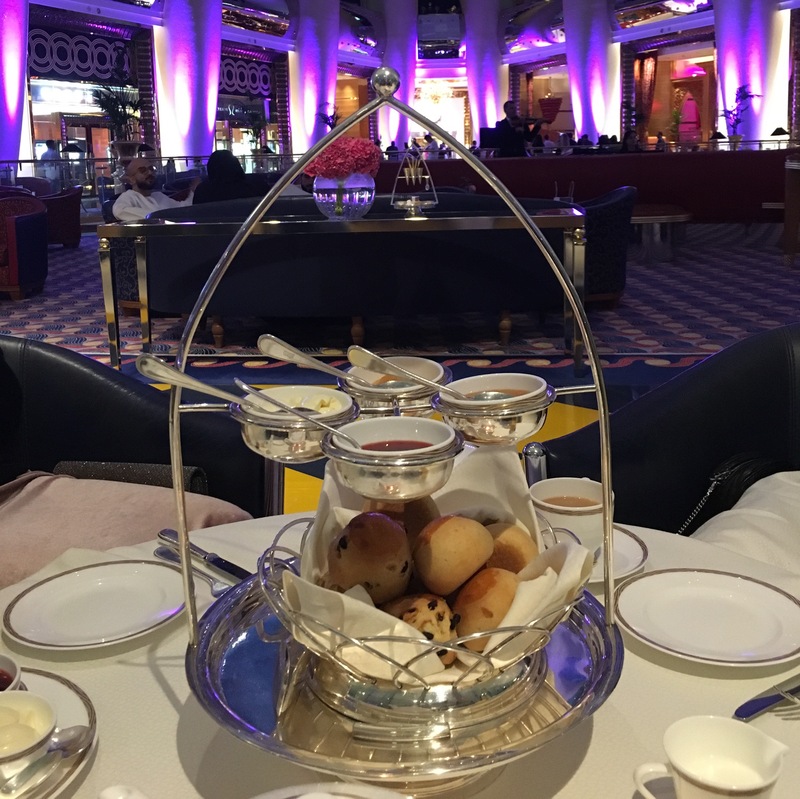 Afternoon Tea at the Burj Al Arab, read my review! 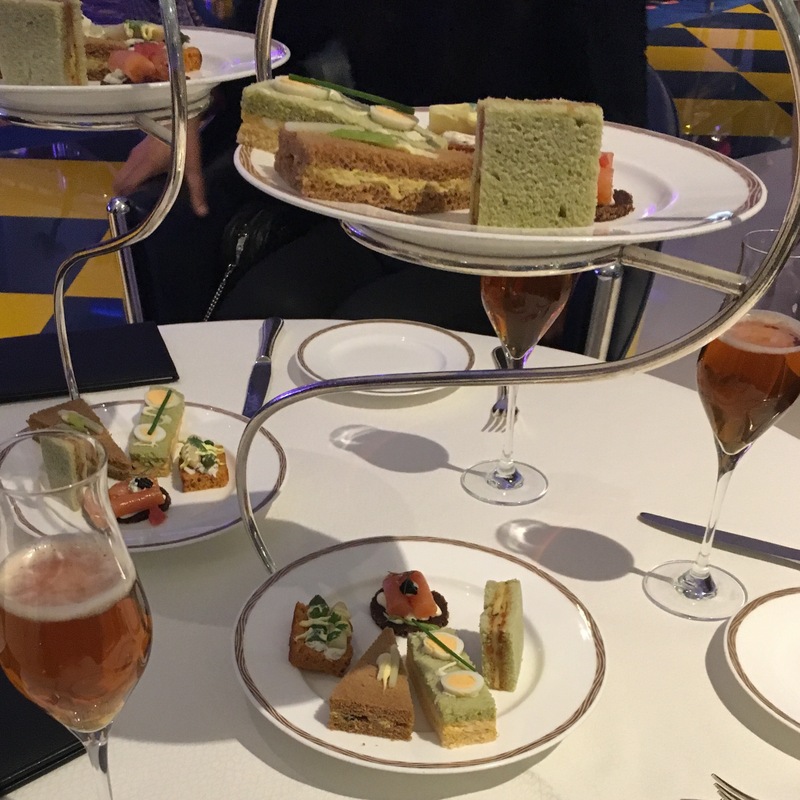 I love afternoon tea a little more than the average Joe so the Burj Al Arab for afternoon tea sounded brilliant. 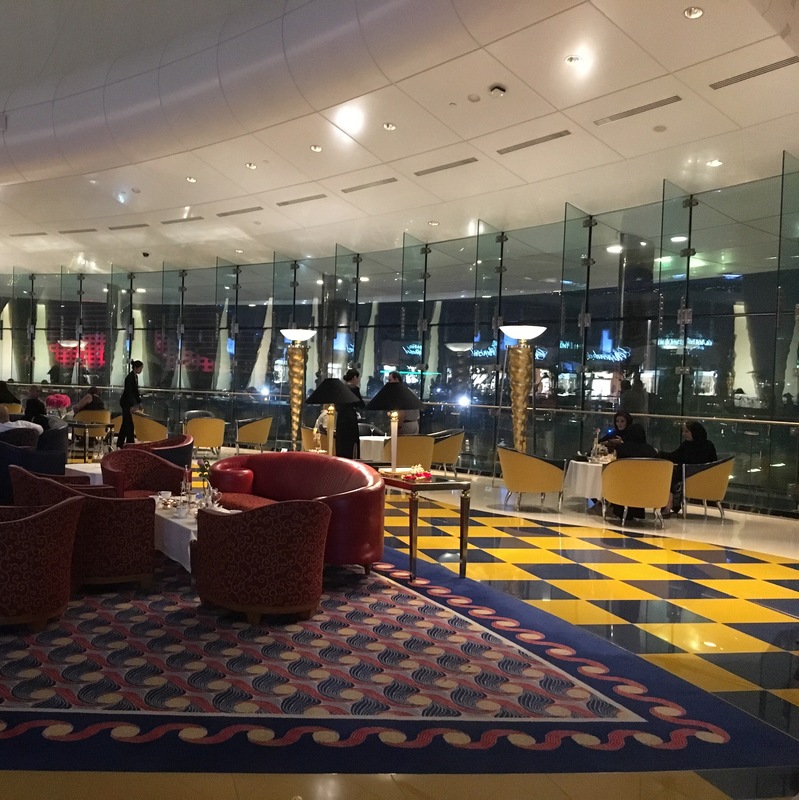 Fancy food in a supposed 7* hotel in Dubai… I must say my expectations were pretty high. 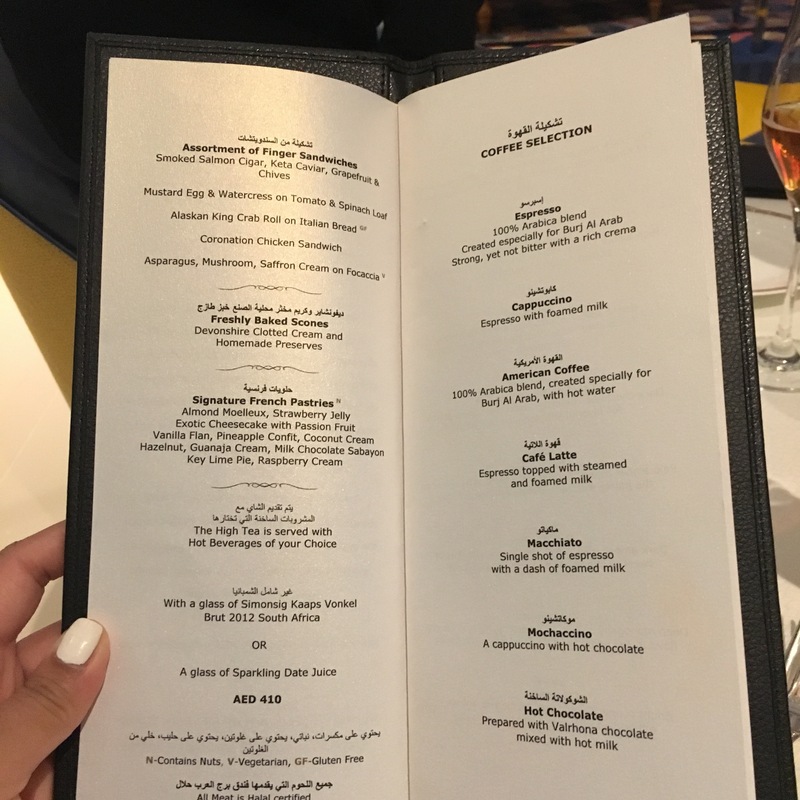 The price point was a little eye watering (£145 per person). I knew no amount of scones or clotted cream could possibly be worth that price tag but I was “paying for the experience”, or so I told myself. The experience was a mixed bag. The setting was pretty flamboyant and the architecture was unreal. 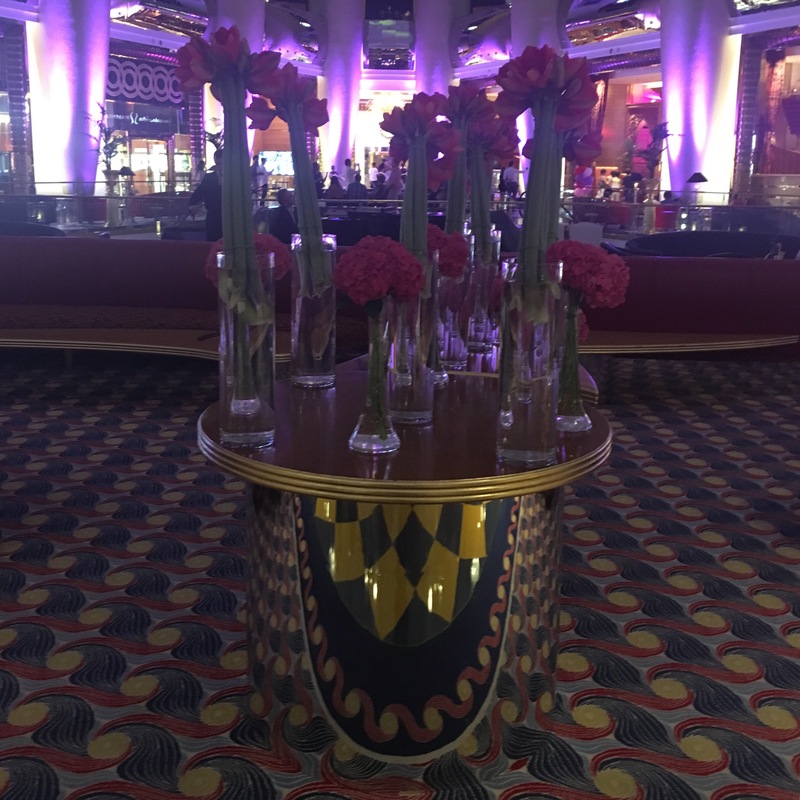 The decor was super luxurious and just screamed Arab Money vibes. 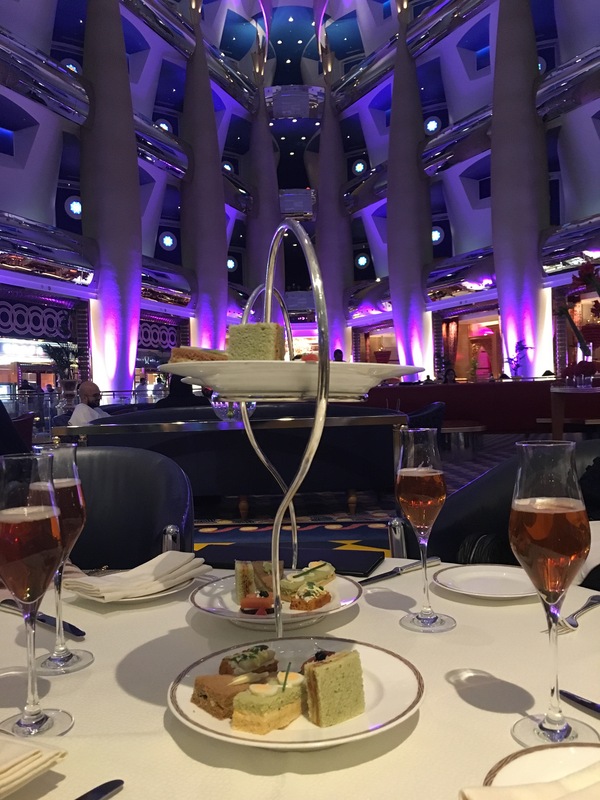 Afternoon tea was served in a lobby area on the first floor which wasn’t as fancy as I’d expected but there was some live classical music playing which helped raise the ambience. 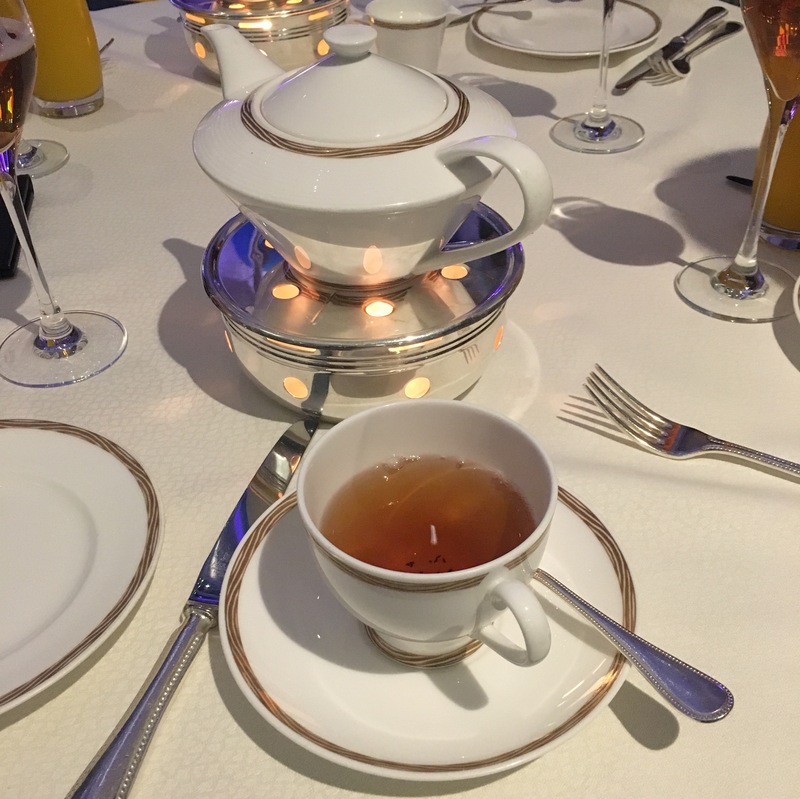 We booked our tea on a ‘dry day’, which apparently had nothing to do with the weather (as we originally thought…oops) but meant that there was less entertainment or alcohol on this national holiday. But having said that the first thing we were offered at the table was champagne, go figure! Afternoon tea itself was pretty average. I definitely didn’t appreciate asparagus in my sandwiches. One could argue my unsophisticated palette didn’t appreciate the flavour combinations on offer but I would argue I know what tastes nice and that definitely didn’t. You can’t really go wrong with scones in all honesty. These tasted just as good as any others. The pastries were really nice and the chocolate went down a treat. Service was slow. Seeing as I was paying so much for the “experience” I didn’t mind being given time to take it all in, but at times it felt like my friends and I were forgotten about. When we were waited upon the staff were friendly and helpful. The absolute star of the show had to be one of the cleaning staff at the hotel. I can’t believe I didn’t pay attention to his name badge but he was an epic photographer. He took a VERTICAL panoramic picture of my friends and me without us prompting him AND he took multiple shots! He was by far the most pleasant encounter I had with anyone at The Burj Al Arab. 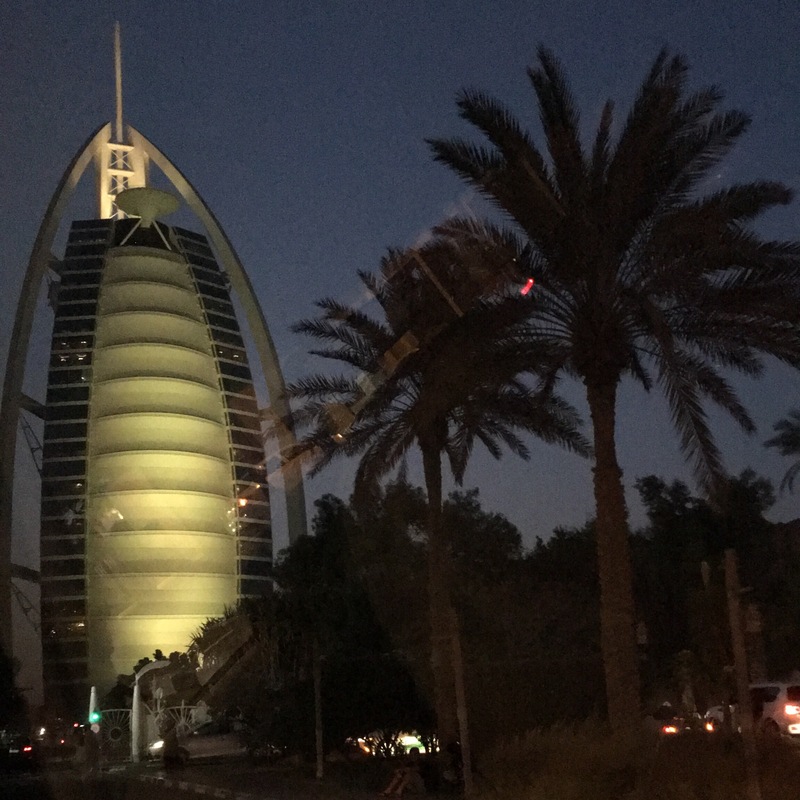 After all my crappy comments I would actually recommend you go here just to tick it off the Dubai Sights list as it was a nice thing to do. My brother and his wife had breakfast at the hotel and had a much nicer experience with the food! I definitely had a good time, but that probably says more about my company than anything else. But hey, what do I know, “I’m flakey, I’ll say anything!”. 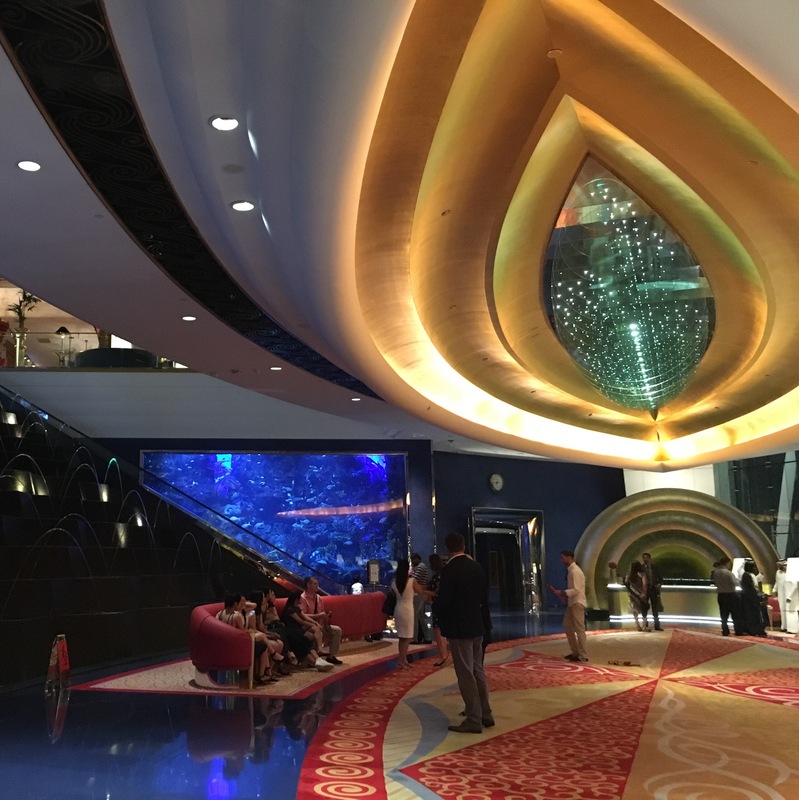 Click here for more details of what you can do at the Burj Al Arab.